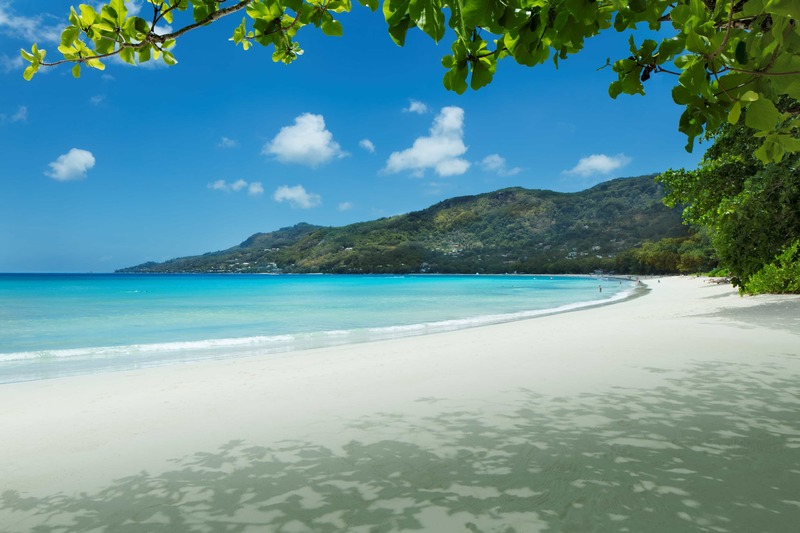 Beau Vallon is a bay on the north western coast of Mahé in the Seychelles. 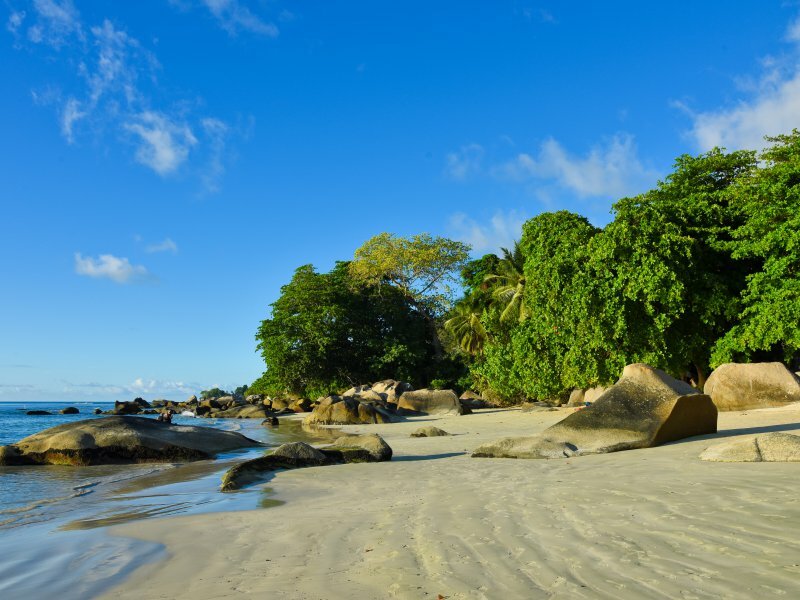 Beau Vallon Beach is a very frequented and maybe the most popular on the island. It is known as a base for diving and snorkelling due to its clear waters and coral reefs. Besides many smaller hotels, it has three major ones - Le Meridien - Fisherman's Cove, the Berjaya Beau Vallon and the Coral Strand. Le Meridien is the site of the oldest hotel on Mahe (originally built in 1943 but several times refurbished) and the Coral Strand is one of the oldest as well, having been built directly on the beach prior to restrictions being put in place by the government. Towards the north is also the newly renovated Hilton-Northolme Hotel in the Glacis area. The Coral Strand has the island's most popular and only air conditioned Indian Restaurant, "Mahek". Beau Vallon is the site of a bazaar of small food and souvenir stands every Wednesday and Saturday evening, year round. The new five-star hotel complex of the Savoy brand is now open on the shores of Beau Vallon. It is the only 5 star hotel in the cove. 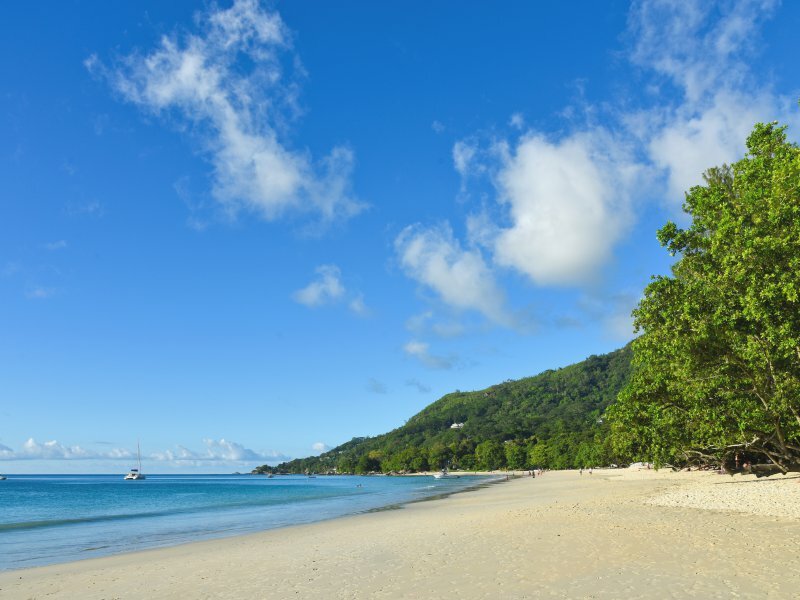 Beau Vallon also hosts a variety of restaurants including the iconinc white building of La Plage restaurant right on the beach, and the pizzeria Baobab which is very popular with the locals and tourists alike.